The Los Angeles LGBT Center is the world's largest LGBT organization, reaching 30,000 youth and adults, 90% of which are low-income, through direct services at six sites in Hollywood, West Hollywood and Boyle Heights – four in the Los Angeles Promise Zone. It has four service categories: Health/Mental Health; Social Services; Culture and Education; Leadership and Advocacy. Guidestar ranked the Center as the nation's #1 local LGBT nonprofit; and Charity Navigator has awarded the Center its highest rating for eight consecutive years. The HFPA has supported the Los Angeles LGBT Center for years, and in 2017 announced an additional grant awarded to them for their Outset: Young Filmmakers Project. This empowerment program provides at-risk LGBTQ youth ages 16-24 with hands-on instruction in a fully supported filmmaking environment, including a mentorship with industry professionals. These youths, many of whom have no other place to turn to than the Center, have now had the chance to write, direct and produce their own six-minute films that focus on issues relevant to the LGBTQ community. “This project is exciting because we need stories told from all different points of view. That is the only way we can use art to affect actual change”, Kumail Nanjiani put it so eloquently when he presented them with the grant. And this is how it works in detail: now entering its seventh season, OutSet: The Young Filmmakers Project is a joint venture of the LifeWorks youth empowerment program of the Los Angeles LGBT Center and Outfest (UCLA) that provides at-risk LGBTQ youth ages 16-24 in Los Angeles County with hands-on instruction in a fully supported filmmaking environment through mentorship by entertainment industry professionals, resulting in finished films that will then be screened at Outfest Los Angeles and at the Models of Pride LGBTQA youth conference. 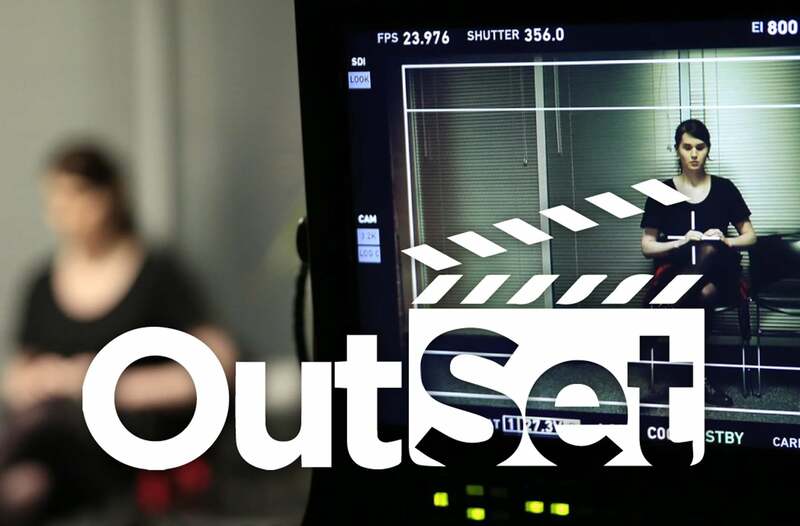 Youth participants – they are called OutSet Fellows – create original scripts on LGBTQ themes and work in teams as directors, producers or production designers to produce a quality, six-minute film. Industry professionals advise teams on each stage of the filmmaking process. Teams also experience working with a casting agency, professional actors, a cinematographer and editor for post­production – a format designed to mirror professional filmmaking. Each year, the project plans to have 15 or more participants.